I didn't have the chance, to show you what was new in January in the chaosbunker. At the HdR Szenario, i took the chance and bought some of the Heer46 novelties. 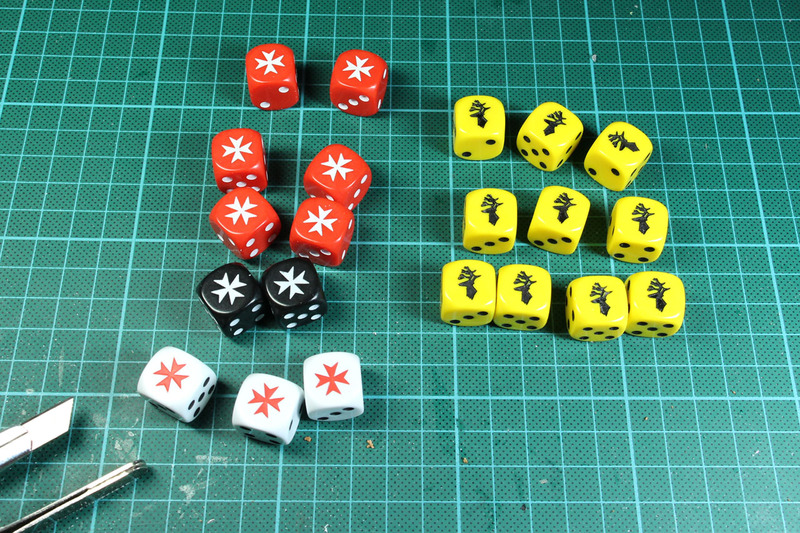 Denis offers some special dice from time to time, so i pre-ordered a few Crusader dice and the Gebirgsjäger dice, which due to the impressive stag head will fit nicely in a fantasy setting (lets say Westeros Baratheon). 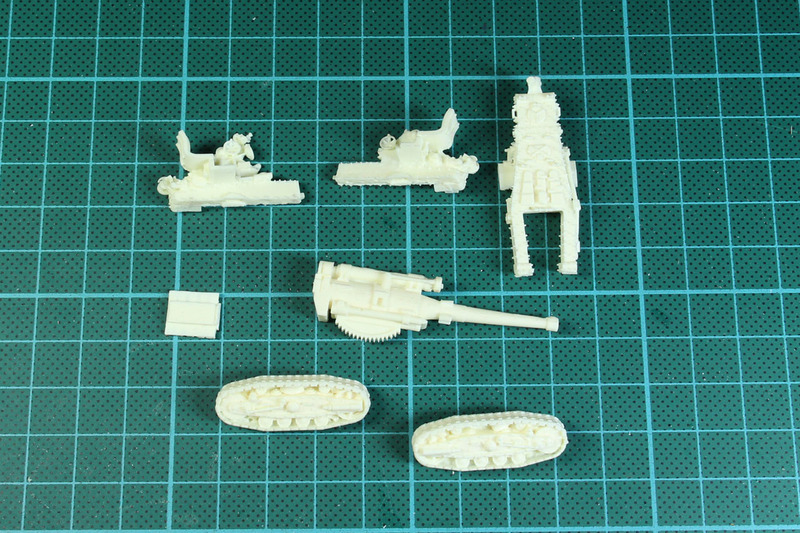 Then he had the first one of a new range of 1:56 / 28mm miniatures for World War 2 and a new 1:100 / 15mm B4 203mm howitzer. Had these laying around longer, now i put them on bases. Some technical familiars for I-Munda. A Cool Mini or Not Ape with a gun and two Privateer Press Gobber mechanics. 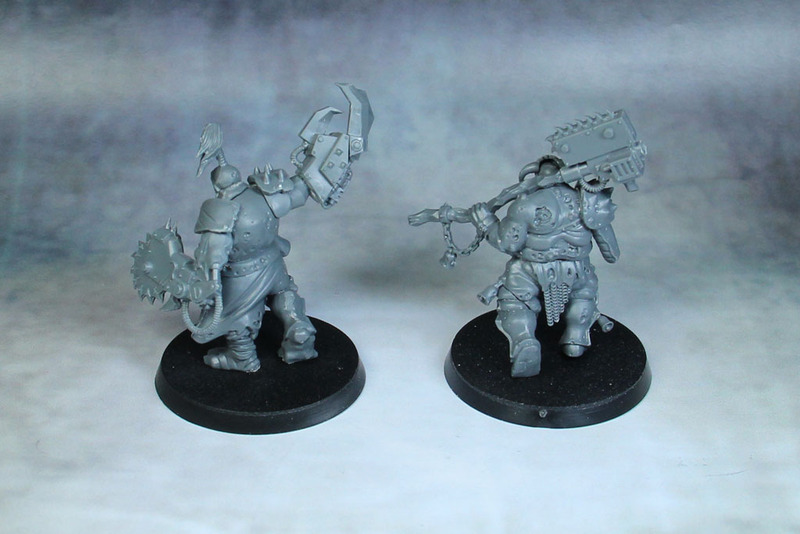 With the Putrid Blightking review, i took the chance to toy around with this rich and ressourceful kit. The price is heavy as usual, but the huge amount of parts and quite vivid design gives the gamer a lot of possibilities. 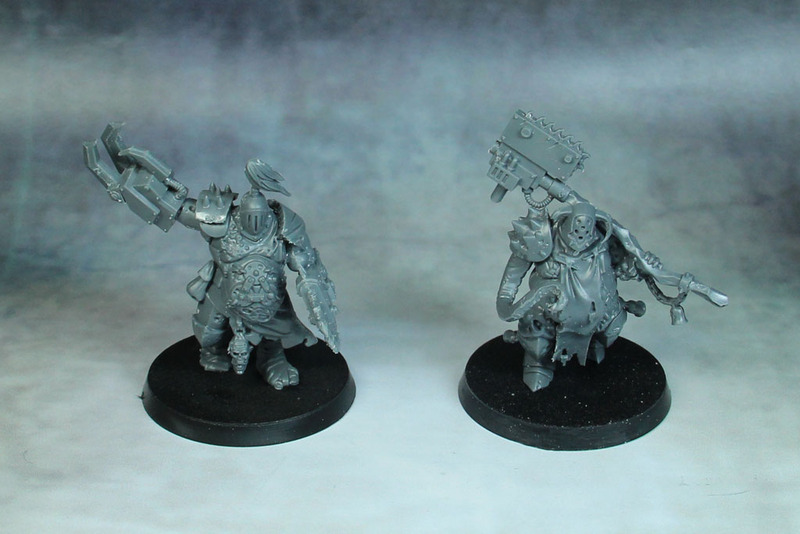 You get a box / unit of characters, you can use them as mutated monstrosities in fantasy, heavily armed as well or you can bring them into the 40th millenium, either as some nice Necromunda Pitslaves, as abominations of chaos or maybe even alternative Chaos Terminators. I went with pit slaves / chaos big ones. A few Ork Boss Bitz are quite usefull. Beasts of War teased their upcoming Bolt Action Vlog in the backstage area and over at Painting Buddha they published part 3 of their Cygnar Avenger Warjack, so beside the new Better call Saul at Netflix, a bit to follow up this week. 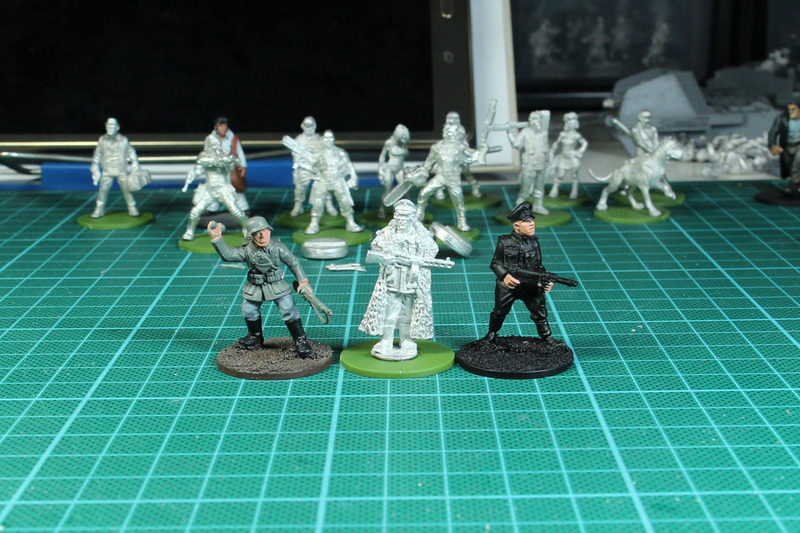 And i did a bit of cleaning in the sub-pages, added new stuff to the Bolt Action area and got the factions some icons and symbols.